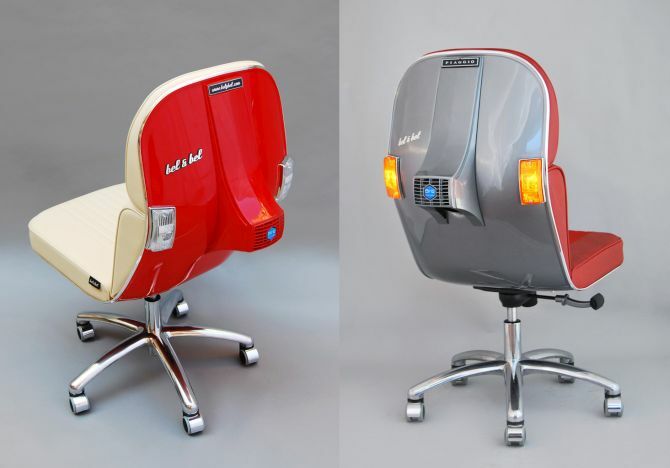 Each Vespa chair in the new collection is entirely manufactured, customized and handmade by Bel & Bel in their workshop located in Barcelona in a farmhouse from the seventeenth century. 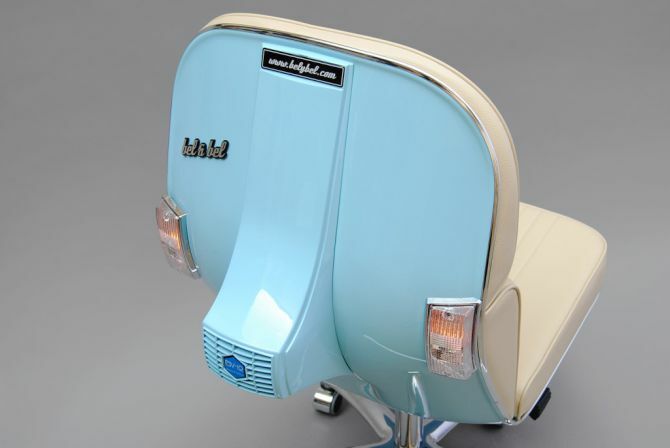 Crafted using original parts from Vespa scooters, every piece come with an official certificate of authenticity. 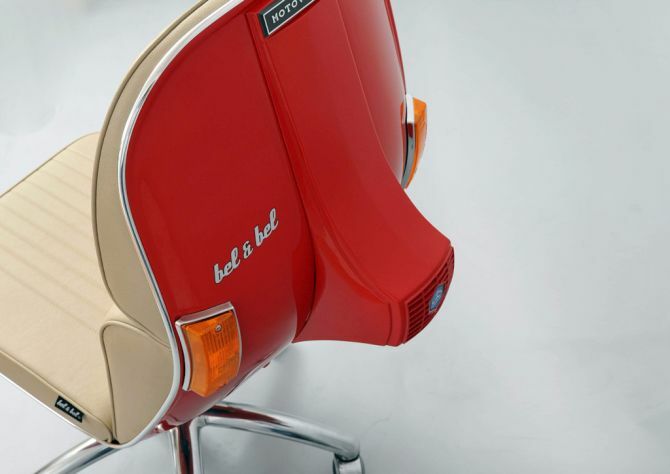 Besides stylish looks, this new edition of Bel & Bel scooter chair sports an impressive ergonomic structure for ultra comfort and relaxation. 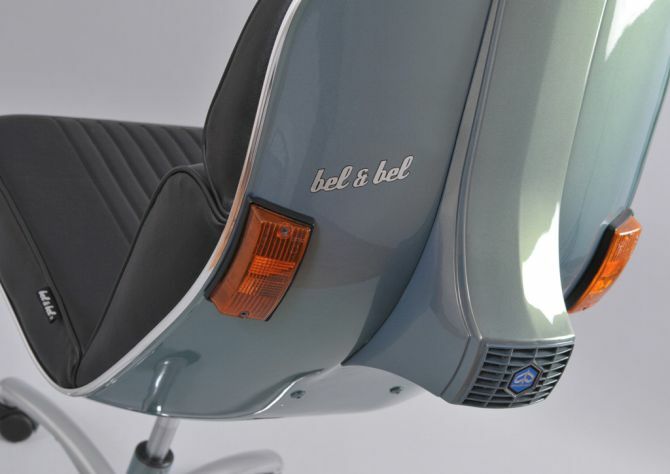 This new edition of scooter chair by Bel & Bel comes with a reclining feature, a reinforced internal structure and a hydraulic piston which regulates and adjusts to the user’s most suitable height. 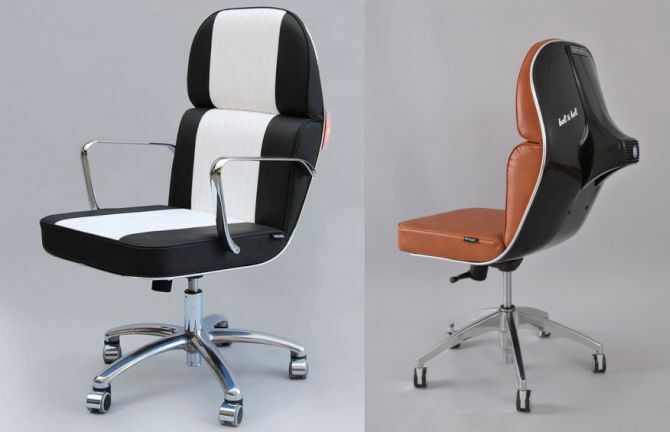 Imitation leather upholstered seat, ergonomic design and soft tread silent wheels enhance comfort of the scooter chair. 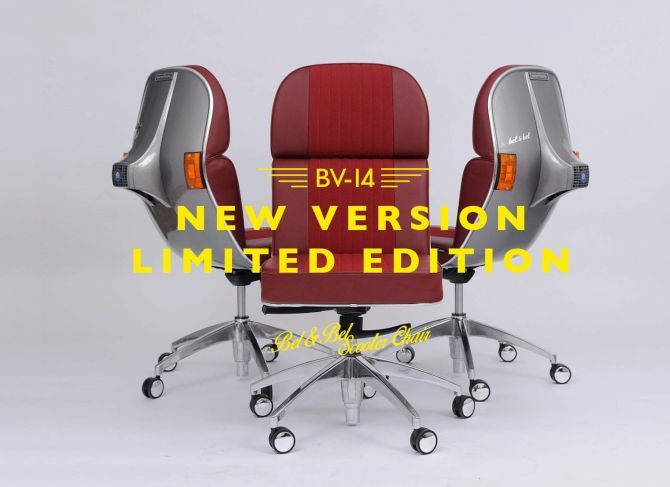 The new limited edition chair will be offered in new color combinations. 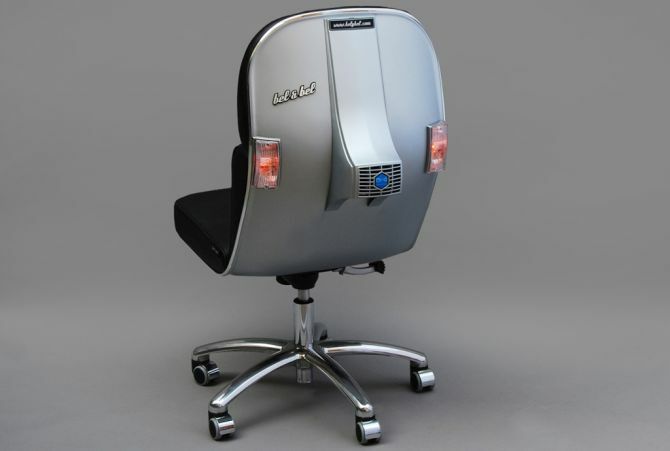 Buyers can also customize them with a wide range of accessories and features. 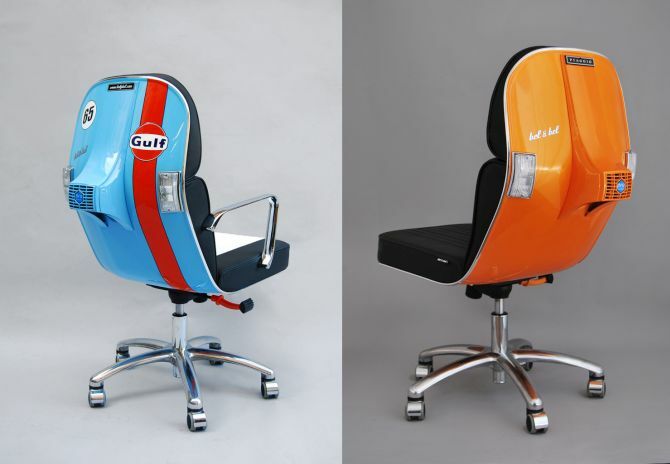 Those interested in getting one for them can find more information on brand’s official website.